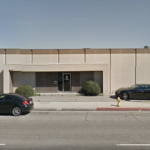 Legion Food Trucks: Food truck builder in South El Monte, CA. Name: Legion Food Trucks, Inc.
From the very beginning Legion Manufacturing has set out to do one thing, to change the mobile food service industry. Specializing in mobile food service concepts since 1991 Legion Manufacturing is one of the premier food service vehicle manufacturers in the mobile food service industry. Producing one-of-a-kind designs for such companies as Jack-in-the-Box, Universal Studios, Warner Brothers, Pacific Park, Burger Barns, and so on, Legion Manufacturing has established itself as the go-to company for custom mobile food concepts. 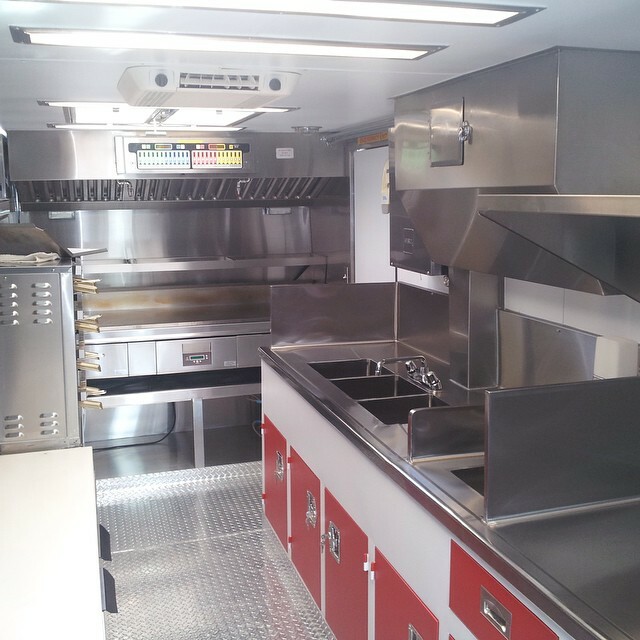 Producing food service vehicles from food trucks, to sprinters, to mobile kitchens, to custom designs, Legion Manufacturing is the only manufacturer to work on a number of different platforms Unlike traditional food truck manufacturers, Legion has no standard food truck models or set standard pricing. Every Legion project is approached as its own individual concept and priced accordingly, no “cookie-cutter” designs are used by Legion. This ensures that every Legion customer has the opportunity to design and equip their food truck to what suits them best. The flexibility and expertise Legion Manufacturing can provide its customers is what allows Legion customers to succeed in a highly competitive market. 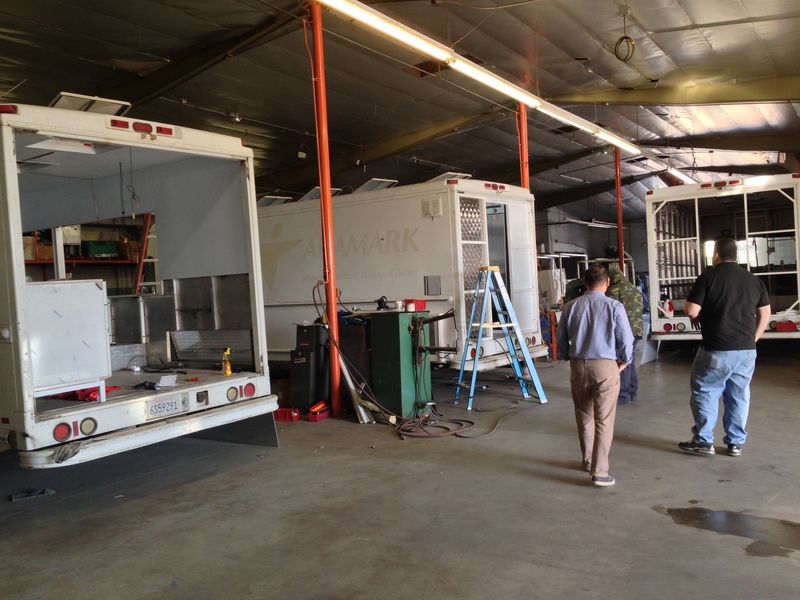 All Legion food trucks are designed around our customer’s needs and requests. 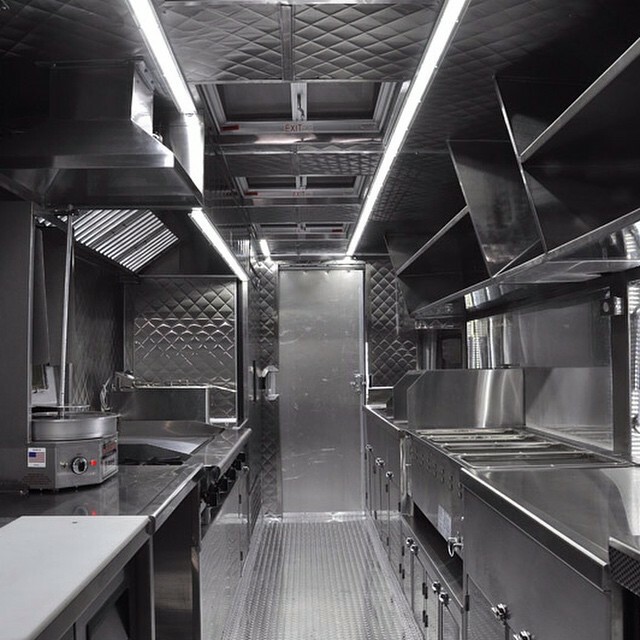 Each truck is built in order to facilitate the preparation and cooking of all its menu items. Rather than having to deal with a cookie cutter designs and inadequate equipment, Legion makes it a priority to ensure your kitchen will work exactly how you need it to. With a large selection of equipment options, no concept is out of reach for Legion Manufacturing. Legion implements the highest manufacturing standards. Legion food trucks are all built with quality and durability as a top priority. Legion counters, cabinets, sinks and storage compartments are all completely welded together; the use of rivets and fasteners is kept to a minimum to ensure the highest level of durability. Legion also employs the use of color throughout its food trucks by using durable powder coats. The use of bright and vibrant colors can enhance the image of a food truck while taking away from the cold and impersonal feel that stainless steel provides. Legion specializes in innovation. Providing customers with completely custom food trucks has presented its own challenges over the years. Each request by a customer can represent its own series of challenges that must be met with equally innovative designs. Legion’s experienced staff of developers and fabricators will work together to bring new and innovative ideas to every Legion food truck. With the use of LCD screens, LED lights, Speakers, Entertainment Centers, Point-of-Sale Systems, Neon Lights, and even Wifi, Legion food trucks have established themselves as being one-of-a-kind. Legion’s team of designers and developers help customers with designing the perfect layout for their concept and vehicle. Using modern drafting techniques and years of health department experience, Legion can develop and design food trucks for almost any concept or idea. Legion’s team of designers can assist with such things as website development, graphic design, vinyl wrap design, and even LCD menu boards that can be easily updated. Legion can provide its customers with a complete creative development package to help ensure each customers success. Have An Experience With Legion Food Trucks?